For years the detailed and professional mechanics and auto technicians at All Types Automotive have helped Melburnians across the metropolitan area keep their cars running on the roads safely and according to specification. Our in-depth knowledge and expertise ensures that we can deliver an unmatched and comprehensive car service to Glenroy car owners and other motorists. To keep your car in the best condition possible it is absolutely necessary that you book it in for routine servicing. Along with changing fluids and checking wheel alignment regular servicing can identify the early signs of wear or damage that can prevent a larger and more costly issue from occurring while you are driving on the roads. With our eagle-eyed mechanics conducting your car service Glenroy, Preston, Campbellfield, Pascoe Vale, and Broadmeadows residents can gain confidence in the condition and safety of their vehicle everytime they get behind the wheel. Are you beginning to notice continued loud noises coming from your engine? Has the steering and handling of your vehicle developed a noticeable list to one side even when driving in a straight line? 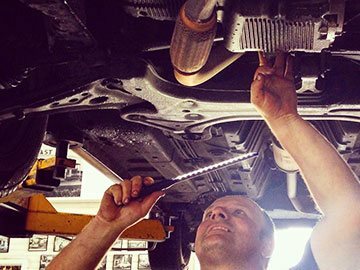 At All Types Automotive our skilled mechanics can assist residents in and around Glenroy maintain the health and condition of their vehicles. By taking a comprehensive approach to automotive repair our mechanics give Glenroy residents the confidence and peace of mind to operate their cars. Our passionate and experienced team have undergone extensive training to guarantee that we can work on a wide range of vehicles to deliver the highest levels of satisfaction to our valued customers across Melbourne. At All Types Automotive we give your car the care it needs to drive on the streets and roads without incident. To book your car in with our professionals call us on 03 9469 2933.